Some web applications may require that certain actions are automatically executed by predefined schedule. In UNIX-like operating systems such actions are managed by the cron daemon. To make sure your application performs such operations you have to create firstly a CronController (you nay give any name you want), where you write executable code. 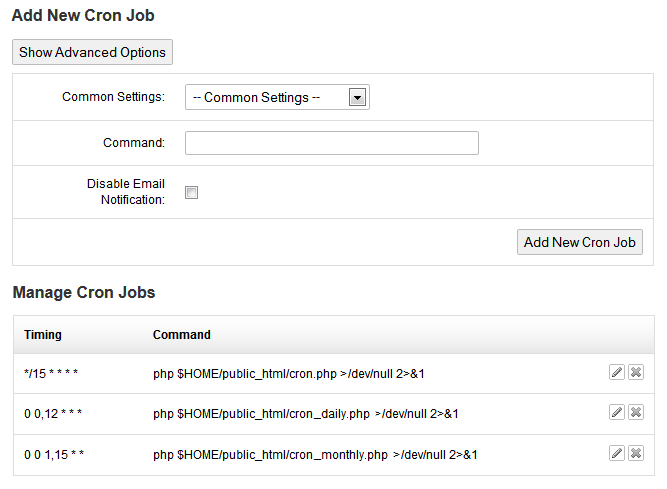 Then you have to set up a cron job in your Hosting Control Panel. 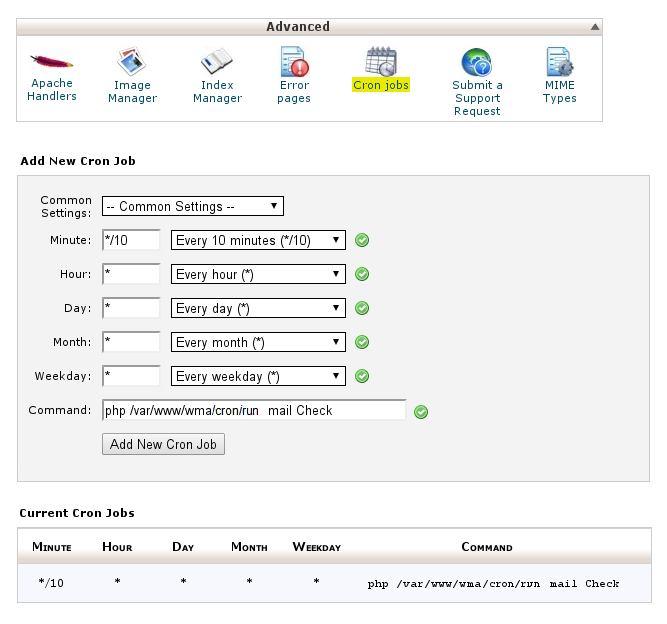 You may define batch or non-batch options to perform the cron jobs. The recommended way to run cron code is to set up a cronjob if you run a Unix/Linux server. If for any reason you can't run a cronjob on your server, you can choose the non-batch option to have cron code is running by the script itself: in this case cron code will be run each time someone access your home page. Such option is called "pesudo" oir "non-batch". Cron code may be released in protected/models/Cron.php class or in each module in protected/module-name/models/ModuleName.php class with method cron().